♦ Clorox® Original remains the most trusted brand of bleach for a cleaner, healthier home and the brightest of laundry whites. ♦ Clorox® Original provides unbeatable whitening for your fabrics while removing body soil, stains and dirt that detergent can leave behind. ♦ Clorox® Original helps reduce the spread of germs in your home by killing common viruses, bacteria and fungi that can make your family sick. 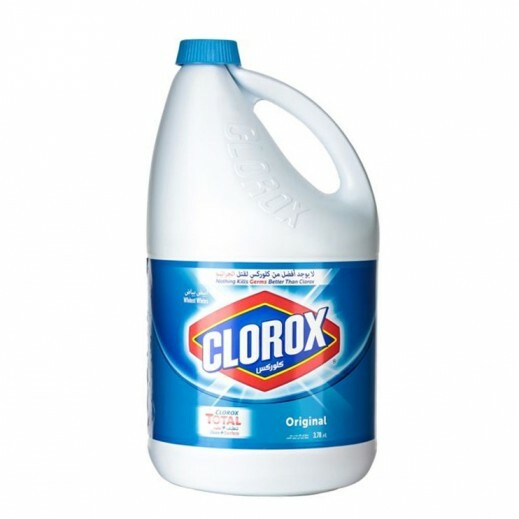 ♦ Clorox® Original helps to get rid of those tough stains like dirt, grass and food. 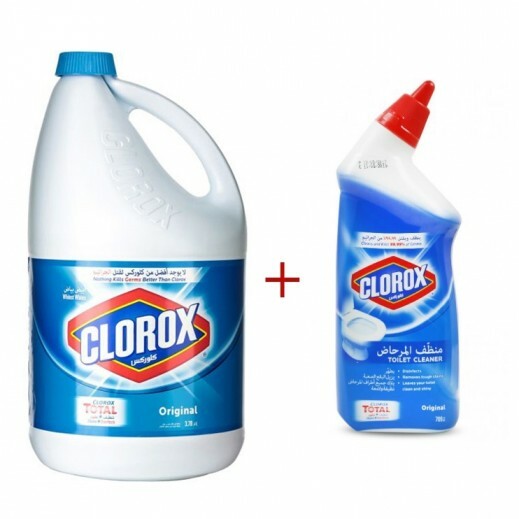 ♦ Clorox® Original works great on stains like:Coffee,Grass..
♦ Honestly, cleaning the bathroom may never be fun, but with Clorox® Disinfecting Bathroom Cleaner, at least it can be easy. Not only does it quickly wipe away stains on most bathroom surfaces, you are also killing 99.9% of germs commonly found in bathrooms! ♦ To Foam: Turn Nozzle to ON. To Spray Every Drop: Tilt Bottle at a downward angle while spraying. To Clean and Deodorize: Remove excess dirt. Rotate nozzle to ON. Spray 6-8 inches from the surface and allow product to penetrate dirt and soap scum. Wipe with a wet sponge or cloth and rinse with water.